As "civilized" human beings, especially modernized humans, we have decimated vast quantities of flora and fauna that have fed, clothed, and kept us well for millions of years. Ancient as well as modern aboriginal/primitive peoples knew the basics of not only safely foraging and living off the land, but many to this day consider the bounty that the Earth provides as sacred as modern man considers his/her shiny new Escalade, or Porche. It is very important to always be mindful of our relation to the Earth, her nature, and each other for sustainability, and most importantly survival of our species and others. Commercial plant-foods are grown for weight; they have a lot of water. Wild plants have more flavor and nutrition because the have to use more of the Sun's energy to survive, and use their constituents in their own metabolism for growth. Gain a greater awareness of our ecosystem. Help gain greater appreciation and understanding of our environment. Sustainable harvesting can actually help an ecosystem to grow and thrive. It is good to get permission to forage. You must have permission from the property owner to collect plant matter. To forage without permission is considered stealing and you can be arrested. Most state and federal land prohibit gathering plants except in survival situations. It is good to be kind to the Earth. It is good to treat the plants as sentient living things; treat them with respect! Treat the native plant complexes like the fine perennial gardens that they are. Also, Know the endangered species in your bio-region. Think first about the plant community and how many plants it can survive without; not how many plants you need in order to make products or profit. Don't strip all the leaves from one plant, just take 1 shoot or 2-3 leaves from many plants. Minimize damage to the plants. 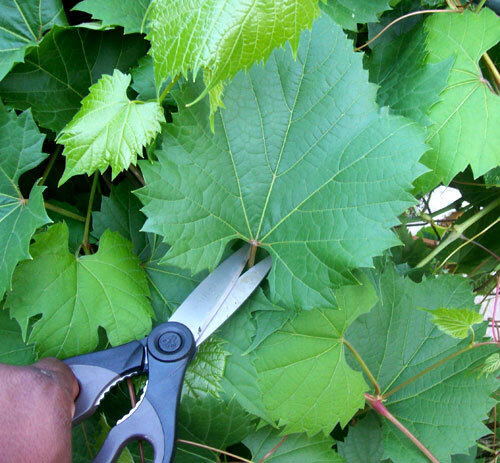 Cut leaves off the plant with a sharp knife or shears rather than tearing them off. Harvest inner bark using long, thin vertical strips on one side of the tree, do not cut a ring all around the tree which will kill it. Sterilize your cutting tools with alcohol or bleach to prevent transfer of diseases. It is good to positively identify any plant before eating or touching it. Eating or grabbing the wrong plant can lead to illness or in rare circumstances, even death. Also be aware of any environmental hazards in your foraging location such as ticks, snakes, bears, or chemical hazards from old oil fields, roadways, lead paint around old buildings or areas subject to flooding from sewers. It is good to only take as much as you can reasonably use; strive for zero waste. It may be a good idea to start a replanting project in your area to help reestablish endangered and threatened species. Never pull up roots unless it is an abundant root vegetable. It is good to re-plant the areas you are harvesting from. Scatter seeds, replace crowns and plant roots. Leave plenty of mature and seed producing plants to reproduce. It is good to give thanks, and harvest with a loving heart. Irregardless of your personal spiritual point of view, it is best to give thanks before, during, and after harvesting. Put beauty into your work by always wild-crafting with thoughts of beauty and graciousness. Ask yourself how much more beautiful will this plant community be when I am finished gathering. The positive and healing energy of gratitude you send out will help keep your source of wild food and medicine healthy, vibrant, and abundant. 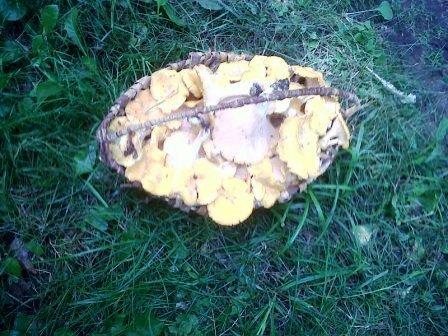 It will also help you keep in mind the other safe and ethical foraging guidelines. If you are bitten, carefully but quickly remove the tick by the head using tweezers or special "tick pullers"